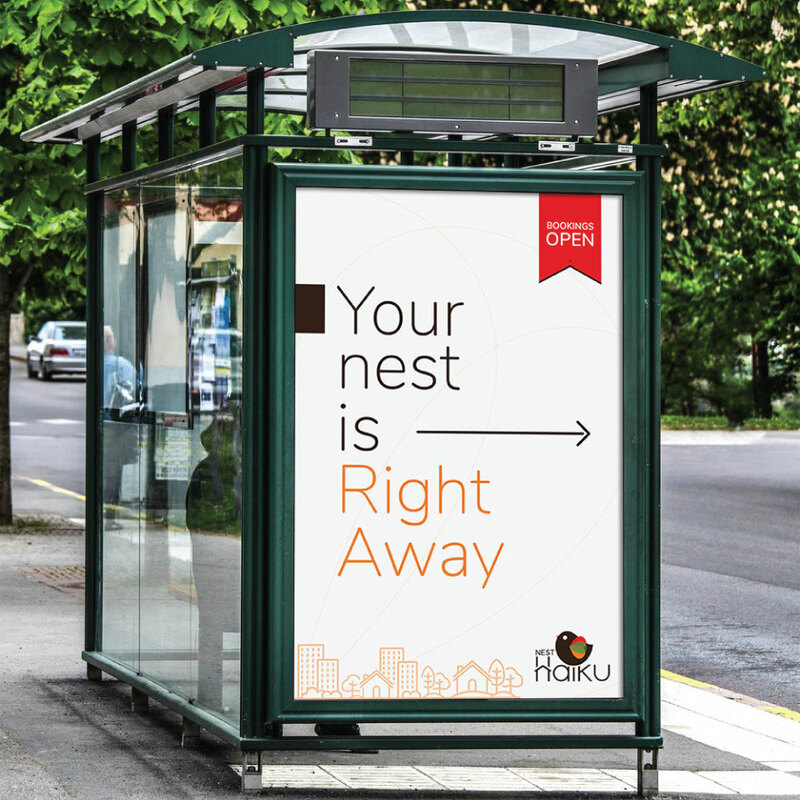 Nest Haiku is a project of Nest Habitation, which provides luxury Villas and Apartments loaded with modern amenities. 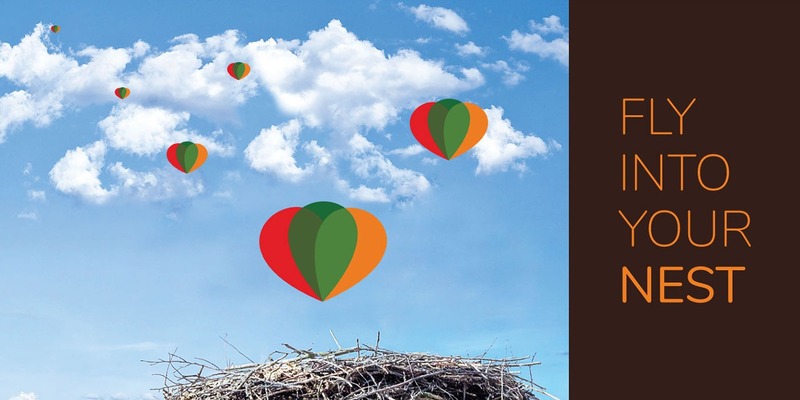 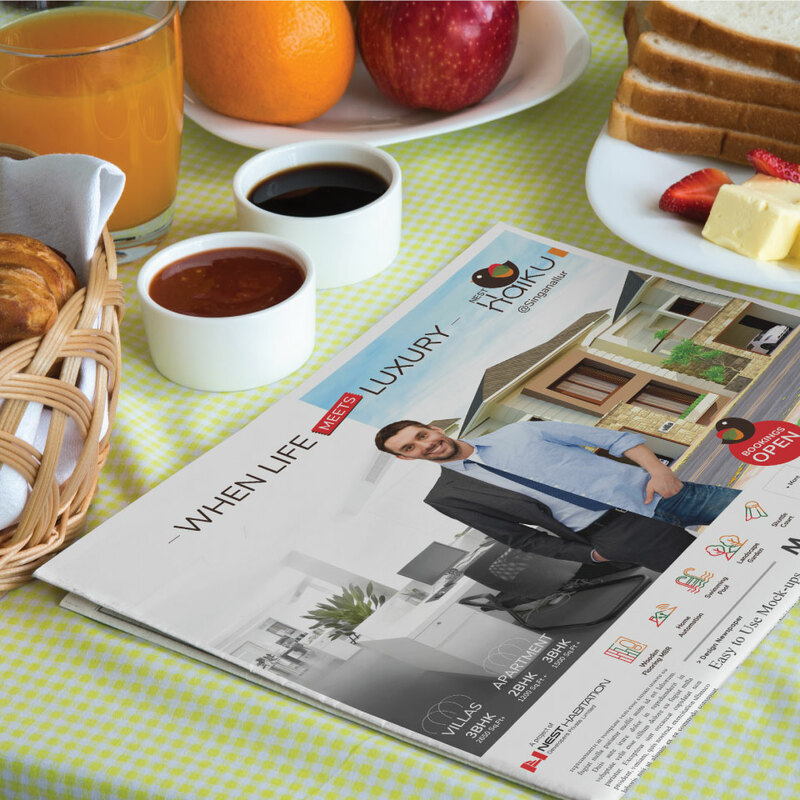 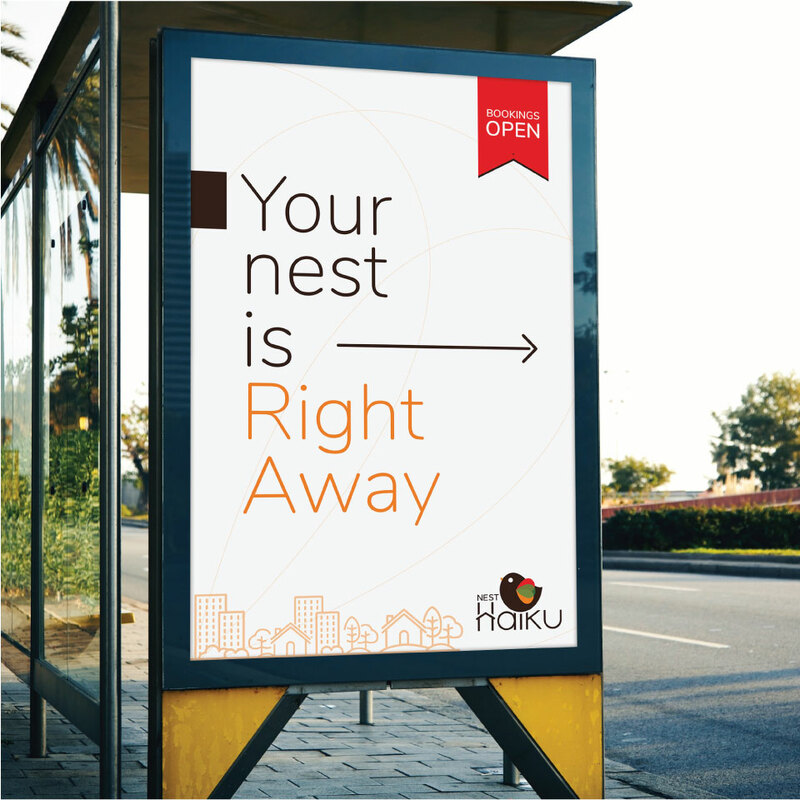 Nest Haiku is pinned at the heart of Coimbatore and aims to provide warm, comfortable, cozy lifestyle to its buyers. 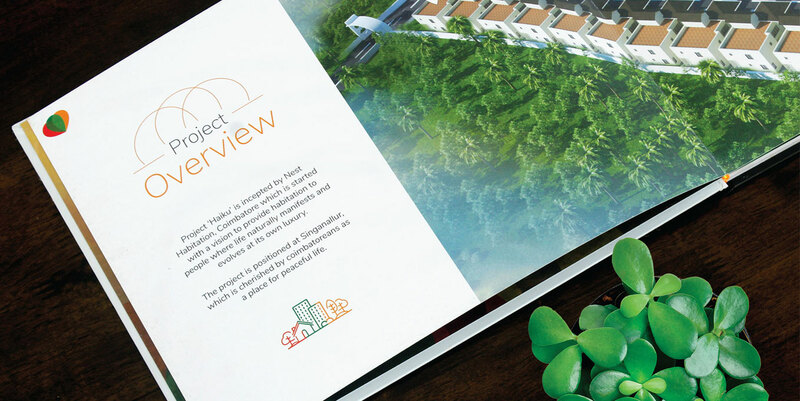 Although the project nestled among the hustling buzz of the city making the location highly accessible, bestowing the residents with peace & tranquillity was the prime aim of our client. 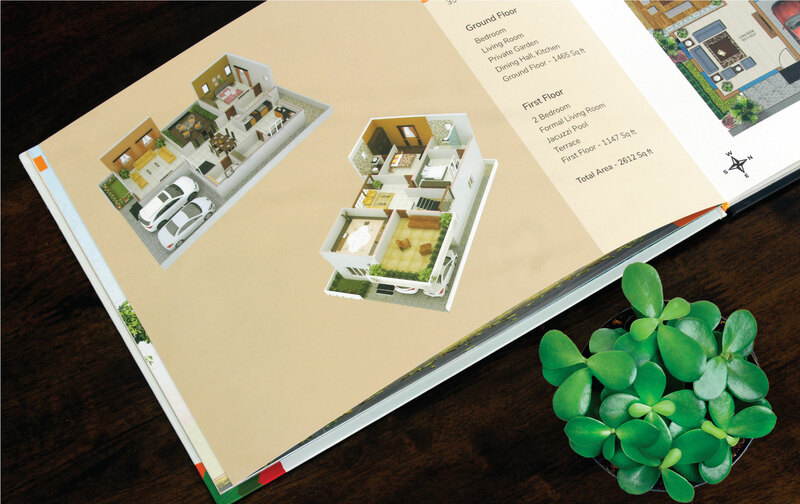 In a nutshell, the villas and apartments offered the perks of both urban & rustic lifestyles. 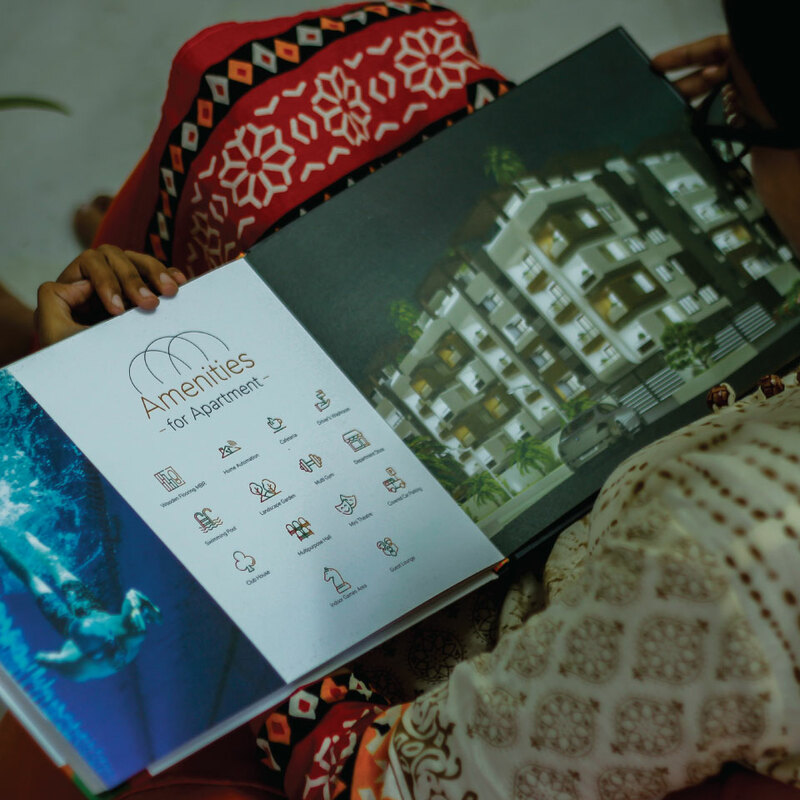 With this little hint dropped, our minds purred with ideas to infuse serenity and city-life, presented in a unique and experiential way. 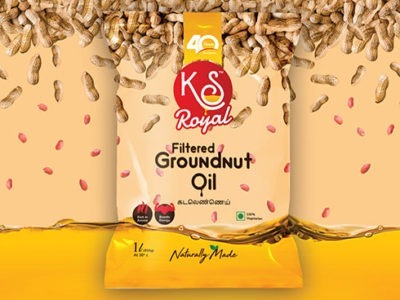 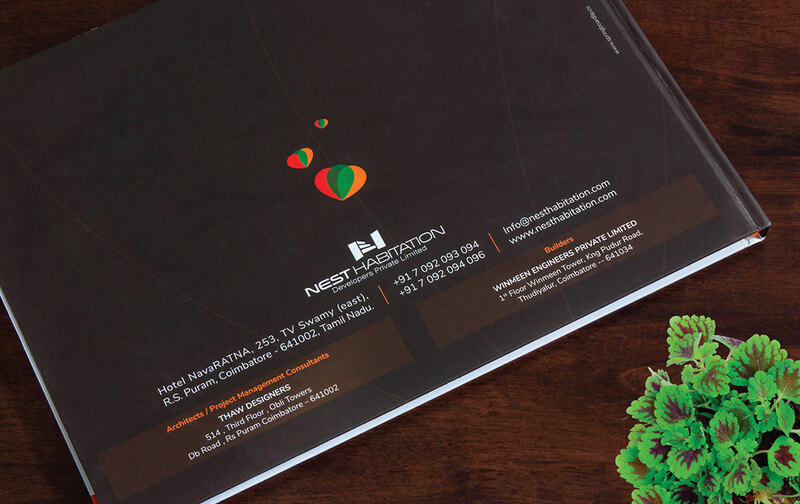 We mainly focussed on creating brand elements and communication that precisely targeted the right audience, while accentuating the brand’s uniqueness among others. 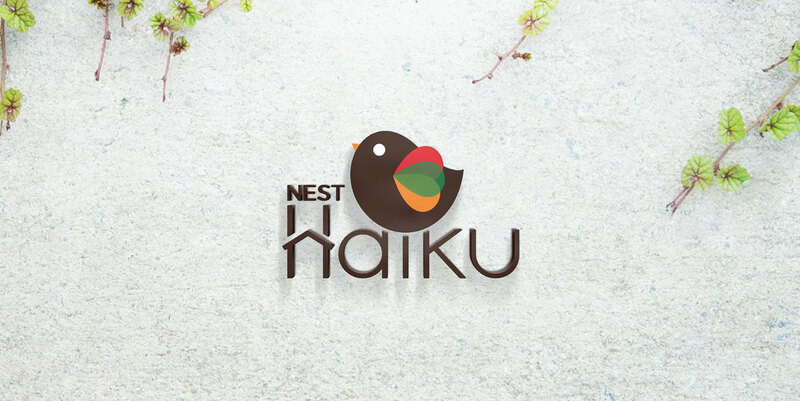 We picked a brand name that harmonized with the parent company’s name, Nest Habitation. 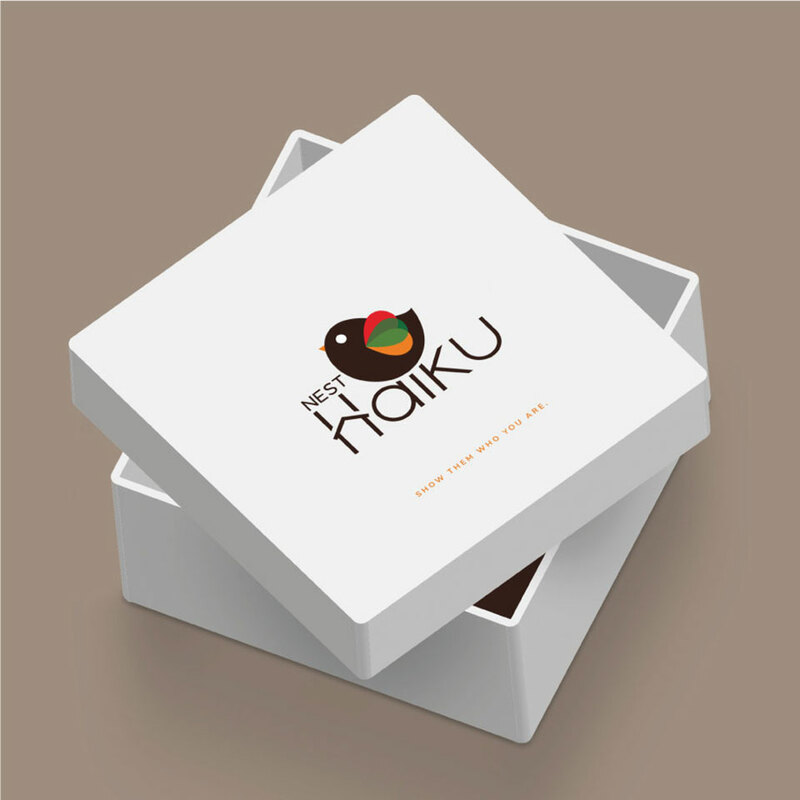 We named the project “Haiku” after the mythological, immortal bird which seeks pleasure in the company of its family. 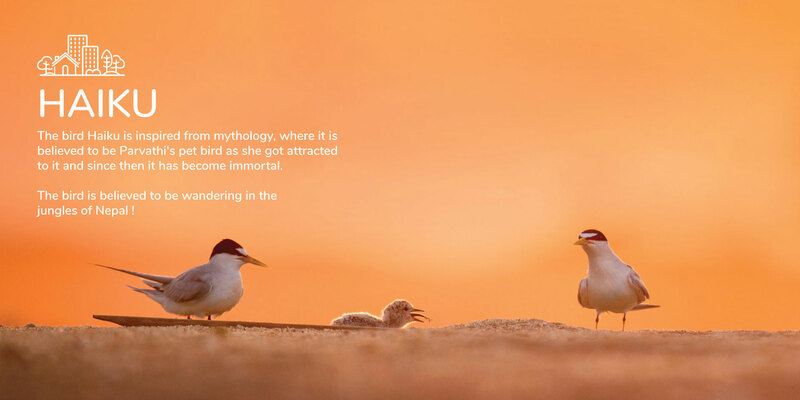 The immortality of the bird implies that the property can be passed down as legacy to the families’ future generations. 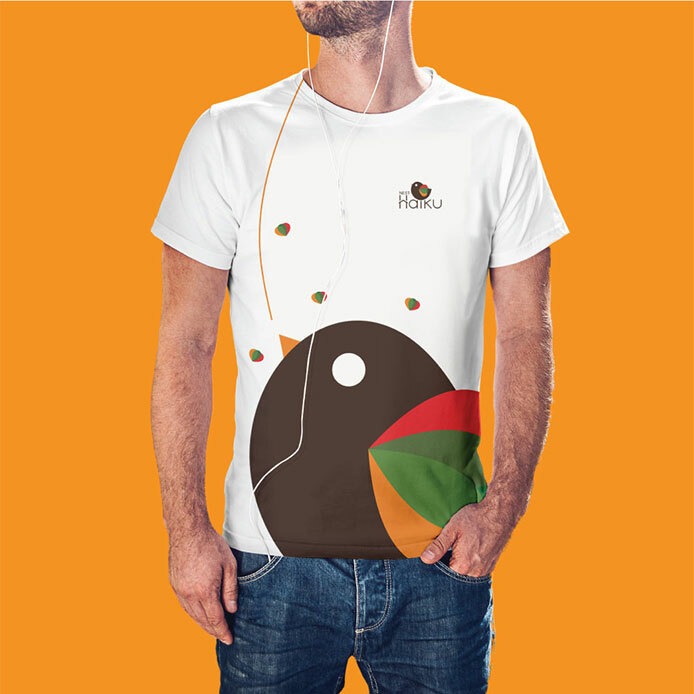 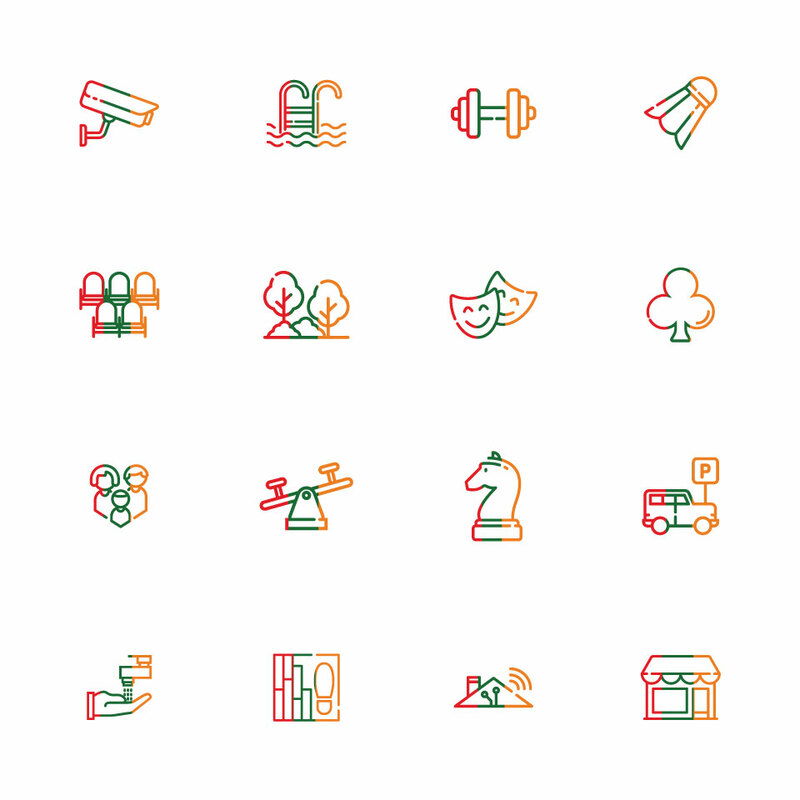 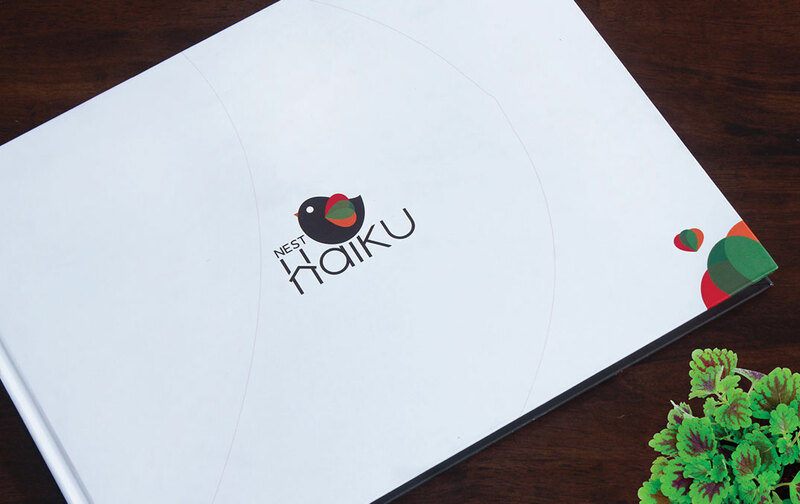 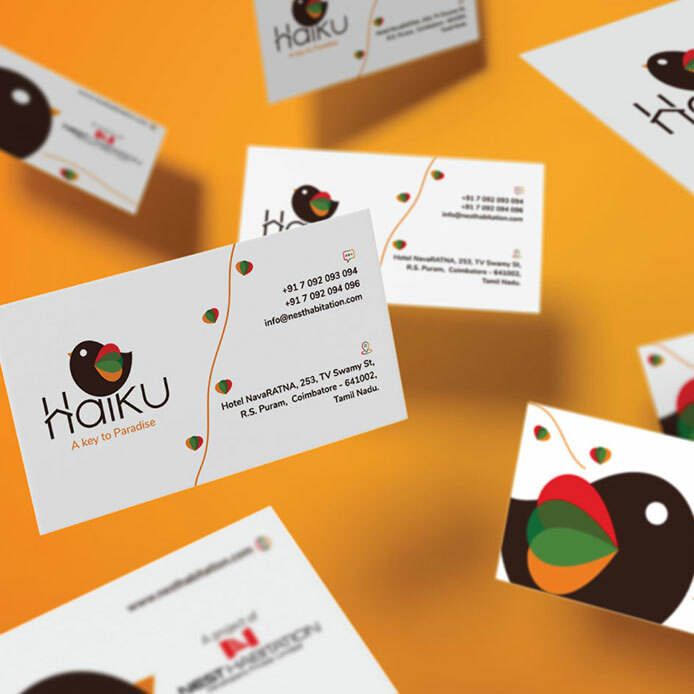 We designed a sleek and urbanized logo for the brand, depicting the Haiku bird adorned in colourful feathers that imply the many amenities and advantages of the properties. 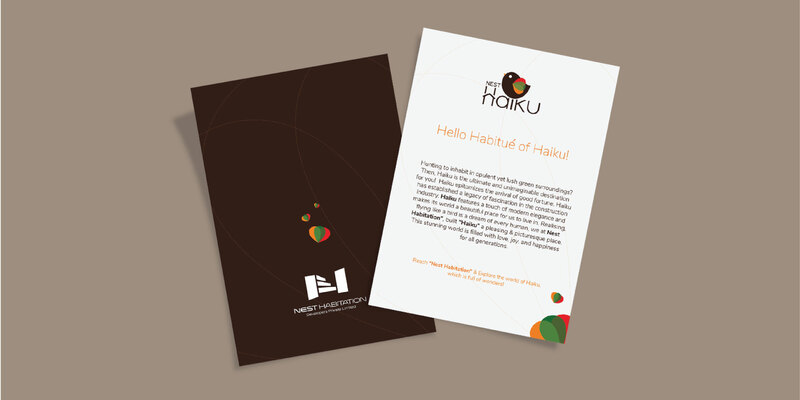 “A Key to Paradise” was framed to pique the interest of target audiences, making them resonate with the ‘proud factor’ of Haiku’s premium properties. 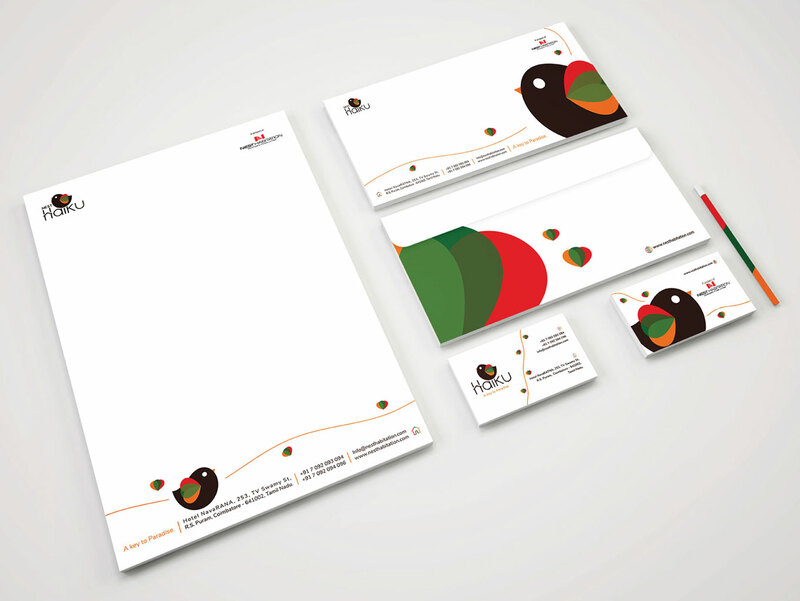 The brand’s colours, elements and visual language are derived from the logo and designed in a way that quickly grasp attention. 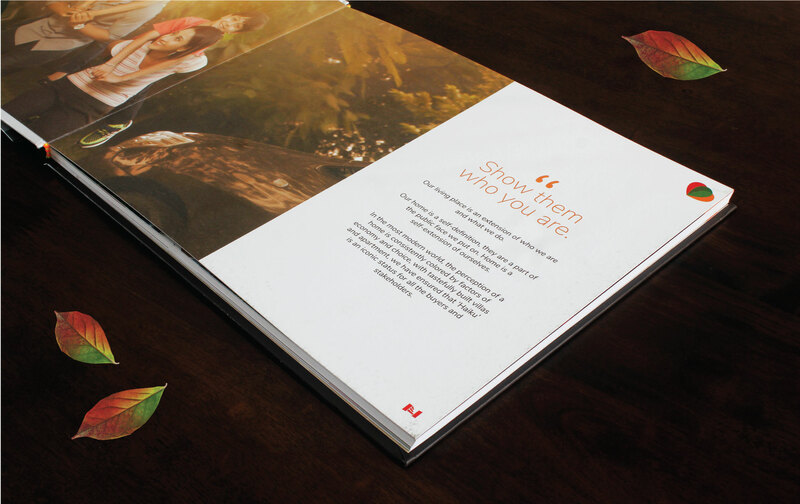 The Ad Campaign was strategized to directly carry the message of the brand visually. 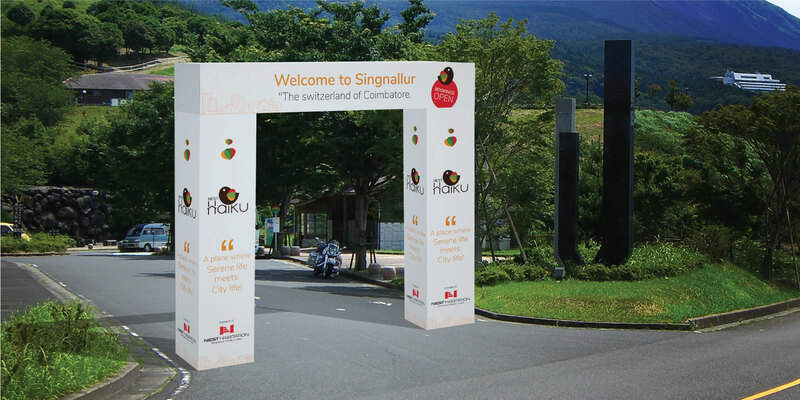 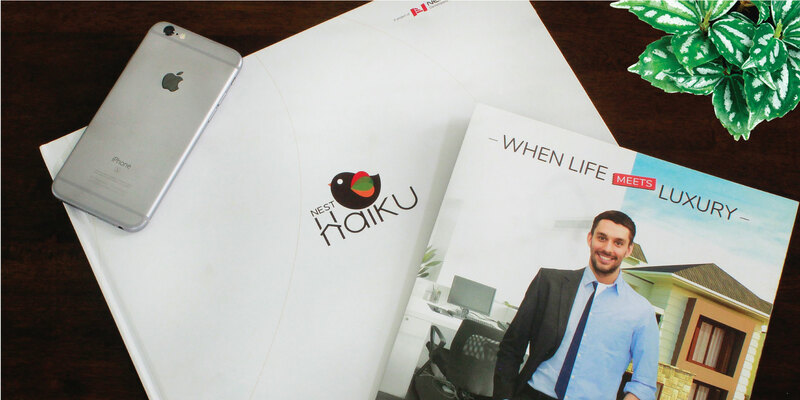 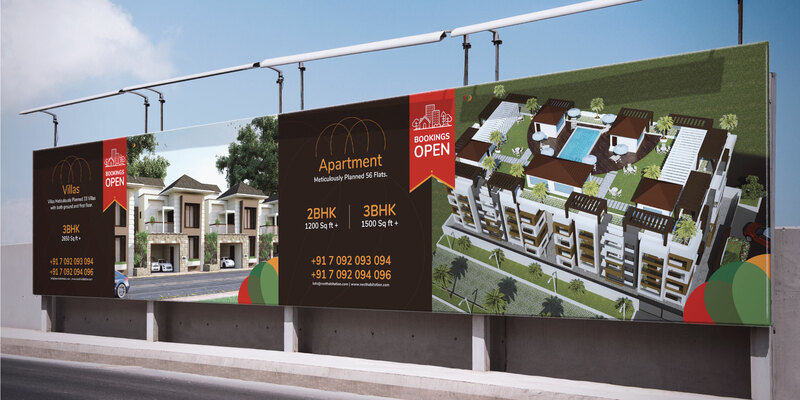 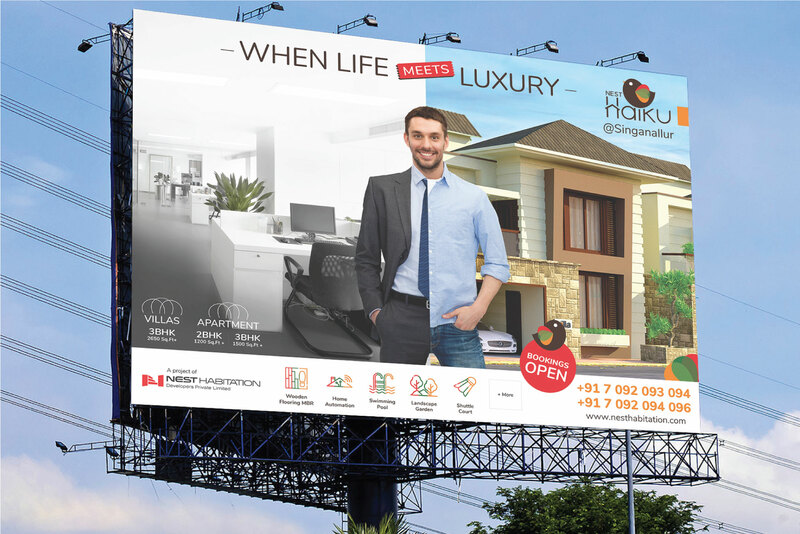 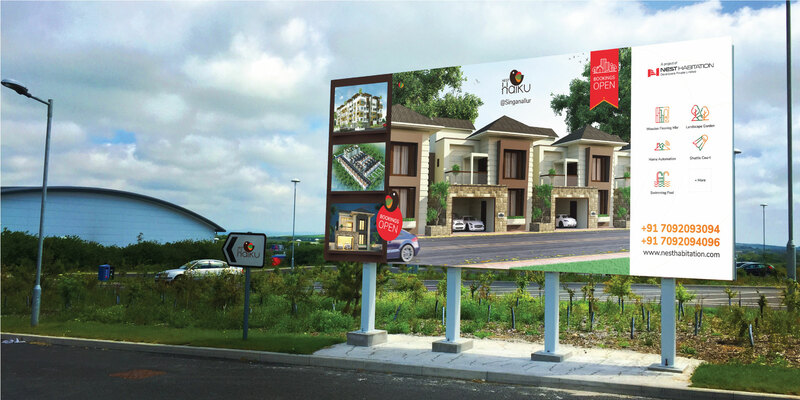 The Site Branding was done very meticulously to add a new identity to the locality & Haiku’s properties. 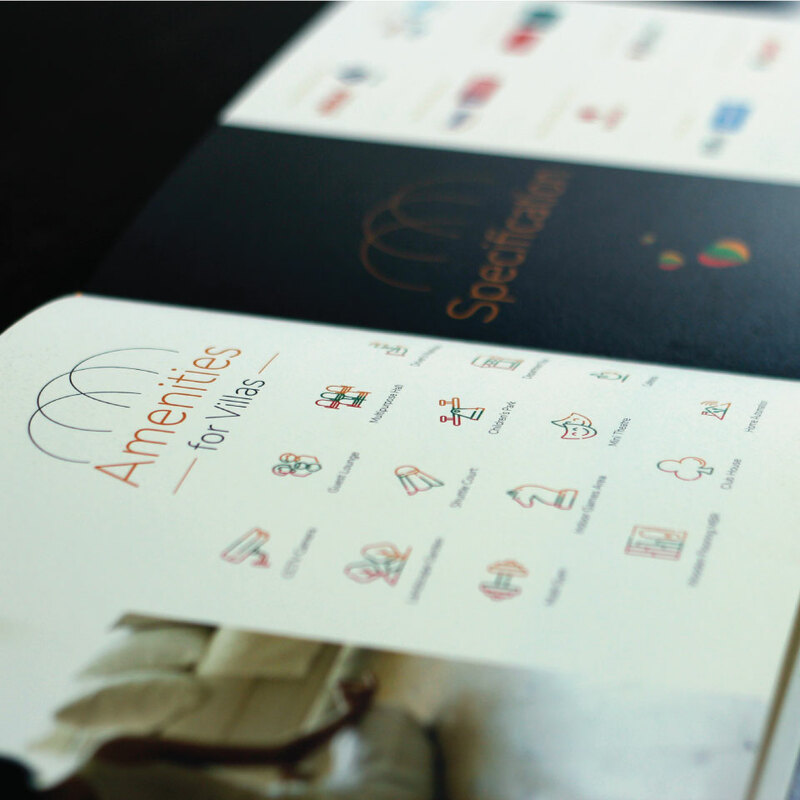 Copies elsewhere in the Site Branding are so formed to tag a proud label to the many offerings of the brand. 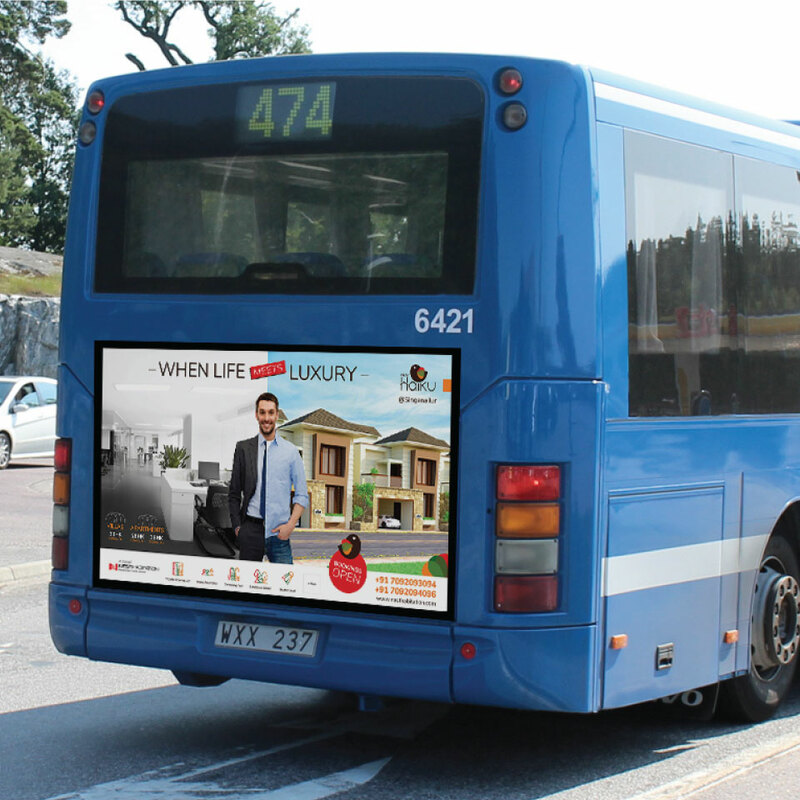 We went an extra mile to appeal to the experiential factor. 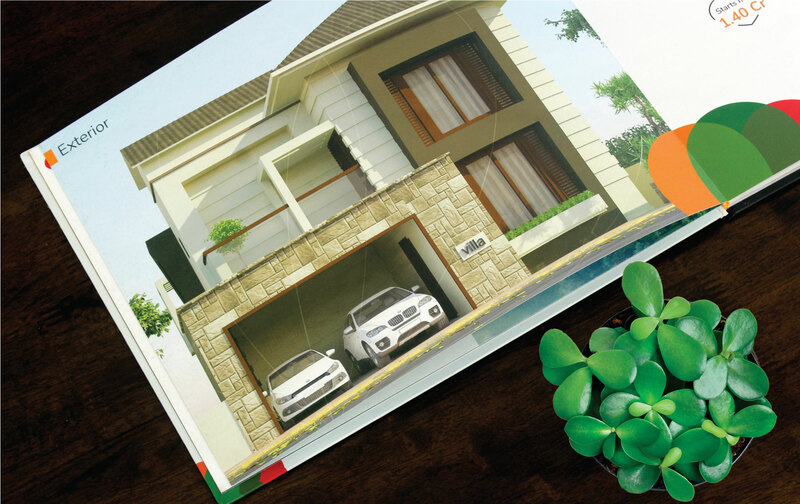 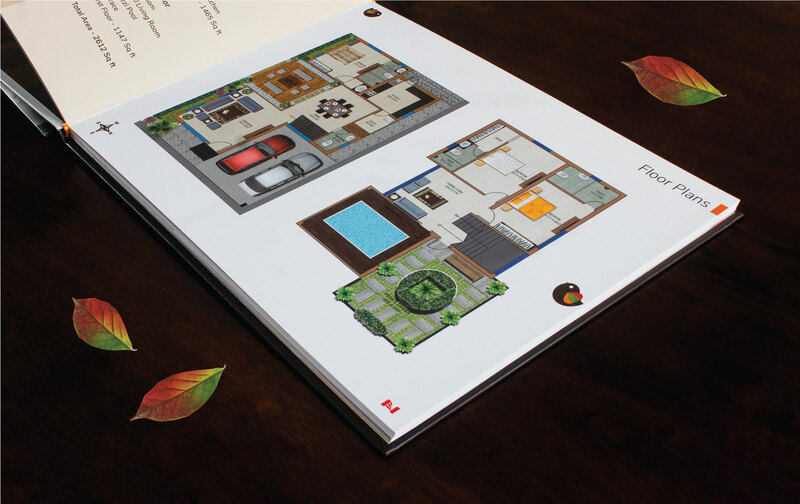 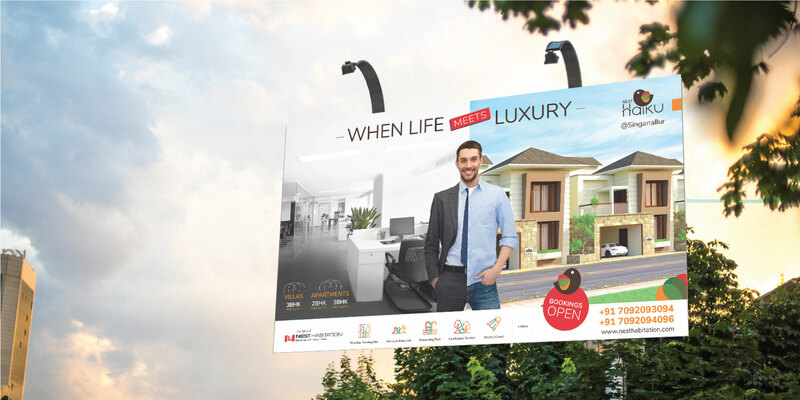 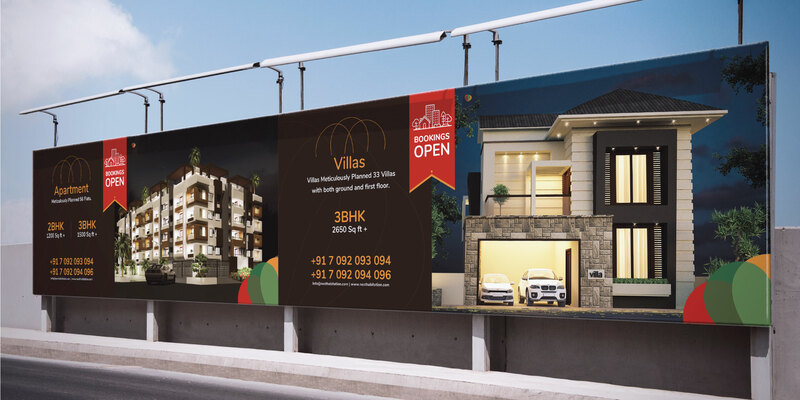 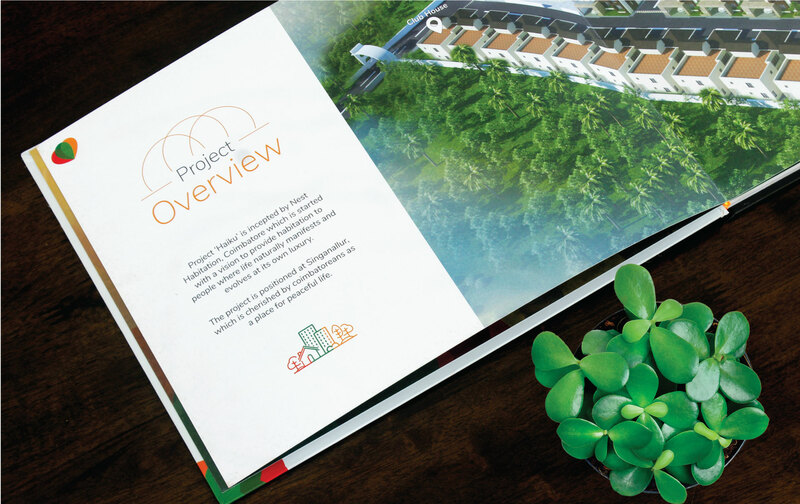 The brochures were painstakingly designed to project the 3D images of interior and exterior of each type of villa, blended with a background colour and text that immediately made the prospects indulge in the luxurious experience and brought them to a buying mood. 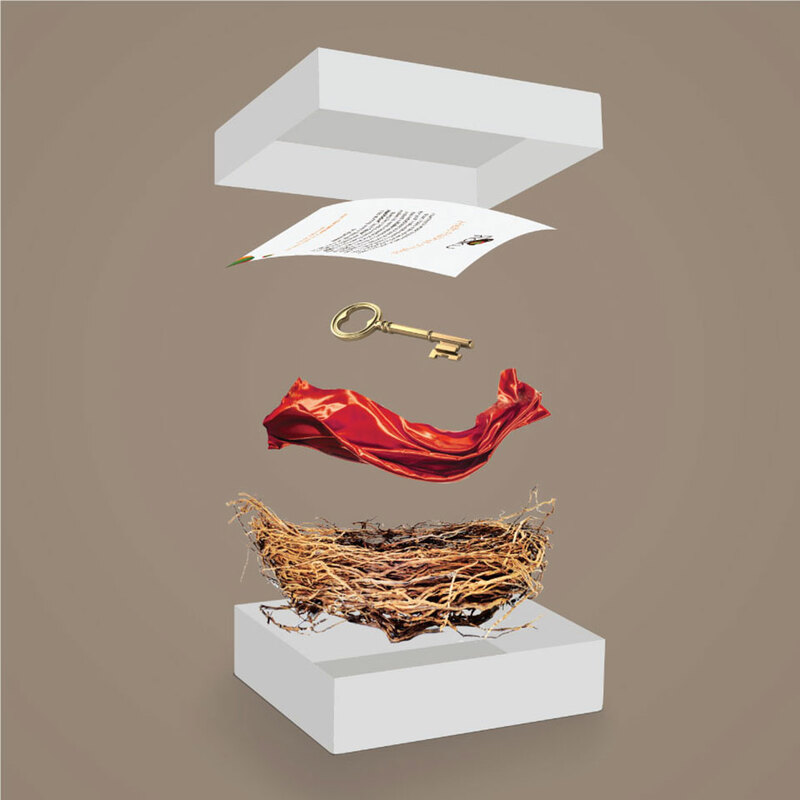 Our team came up with the idea of complementing the experiential factor with a House Delivery Kit which presents a welcome letter and the key placed in an artificial nest – to fit the last piece in the whole Nest-Haiku-experience.